It’s not very often I get to do an FO Friday post as I seem to be working on longer projects and not getting much finished at the moment. Today is different though! The socks that caused so much trouble in the beginning with double pointed needles and magic loops are finally finished. It took 12 days in total which isn’t bad considering how much I’ve been working lately too. Last night I planned to knit up to the toe decreases and then leave them, but I decided to just carry on and get the job done! Here they are, being modelled by my sock blockers. They havent actually been blocked, I’m going to do that later as I have another piece of knitting that should be ready to block too so I’ll soak them together. Have you got any finished objects to share today? And what else would you make with just under 100g of Sock weight yarn? I am so envious of your amazing talent for turning what amounts to a long ‘string’ of wool into the most fantastic USABLE, WEARABLE garments. You, Mrs.Craft, is very very clever indeedly doodly. What fab socks… They’re great! Well done. Sorry no FO’s to share ! Thank you 😊 This is the first Friday in a while that I’ve had anything finished. Well done! 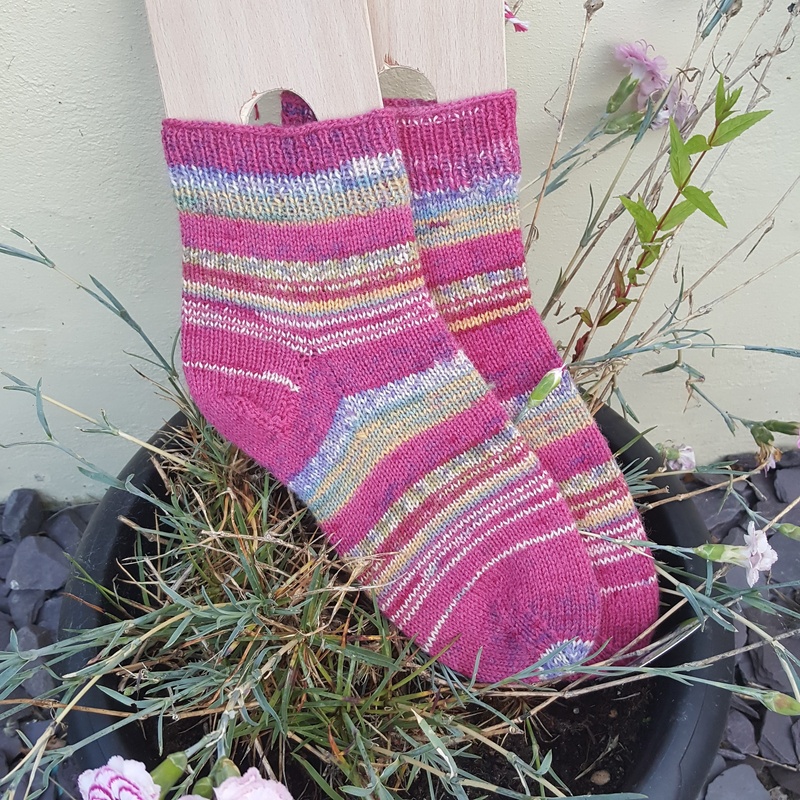 Maybe make a mini sock to frame as a souvenir/reminder of making them…! I love your pretty new socks. Nice job! Just finished a beanie which I will post about this week. 100g of sock yarn, black and self colouring. Yay well done! They look fab! 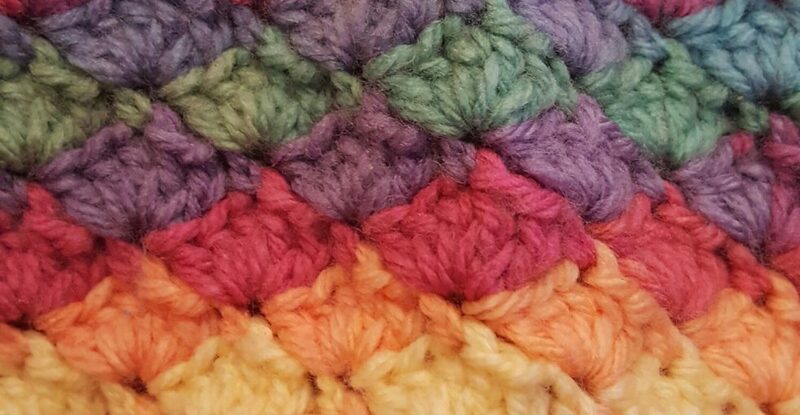 Have you heard of the cosy memory blanket? It’s made specifically with leftover sock yarn 🙂 you’d need to make heaps of pairs though but they look amazing! They look fab, I’d be wearing them all the time!